Former Spain internationals Andres Iniesta and Fernando Torres were each on the losing side Sunday in their anticipated J. League debuts. 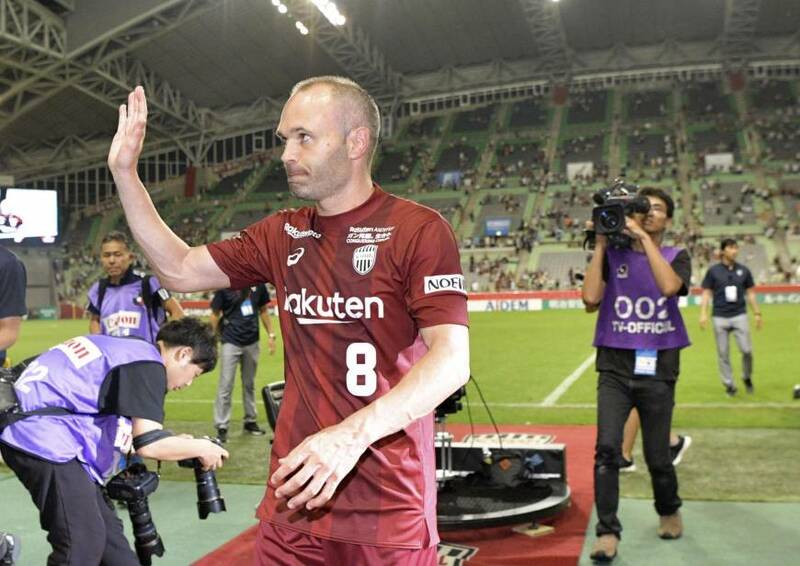 Iniesta received a hero’s welcome from Vissel Kobe fans at Noevir Stadium, but Shonan Bellmare spoiled the party by running away 3-0 winners. 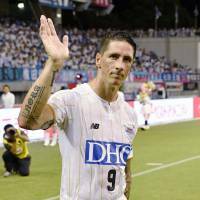 Torres, meanwhile, delighted traveling Sagan Tosu fans at Best Amenity Stadium but could not stop a 1-0 loss to Vegalta Sendai. Goals by Keisuke Saka and Mitsuki Saito had the hosts down 2-0 by the time Iniesta entered to rapturous applause as a 59th-minute substitute. Shunsuke Kikuchi soon after added a third to put the result beyond doubt. Saka opened the scoring in the 10th minute, finishing a well-executed play from a corner kick by heading past Vissel keeper Kim Seung-gyu from directly in front. The visitors doubled the lead on a counterattack three minutes into the second half, with Saito chipping Kim from close range after running onto a Ryogo Yamasaki through ball. Kikuchi tapped in the third after Kunitomo Suzuki drew two defenders inside the box and crossed to the forward in front of goal. 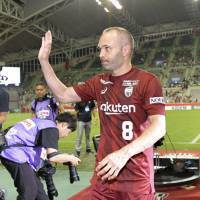 The loudest cheer of the night was heard when Vissel coach Takayuki Yoshida sent on Barcelona legend and four-time Champions League winner Iniesta for forward Kazuma Watanabe. The 34-year-old midfielder earned another roar from the stands for his first touch in the 62nd minute, as he received a ball inside his own defensive area before dribbling to halfway and passing to Takuya Yasui on the wing. Iniesta, who only arrived in Japan midweek and trained with his teammates for the first time Friday, appeared to lack some of his usual timing and precision. He nevertheless showed touches of brilliance, threading a perfectly weighted through ball from within halfway that found Wellington inside the box in the 89th minute. The Brazilian forward’s shot was deflected out for a corner. The subsequent corner found Iniesta, but he volleyed just wide of goal. The veteran playmaker, who retired from international competition following the World Cup, could be in line to make his first J. League start when Vissel plays Kashiwa Reysol at home on Saturday. 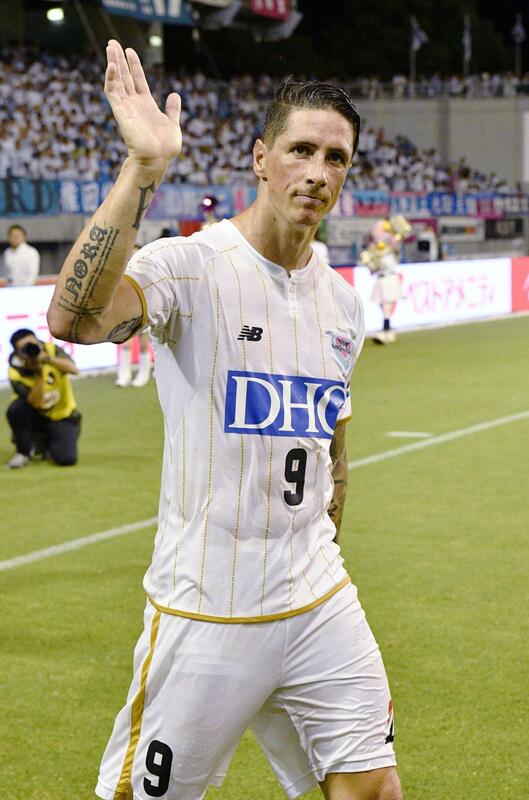 In Sendai, Torres made an impact as a substitute for Sagan after taking the place of forward Kyosuke Tagawa five minutes into the second half. The former Atletico Madrid and Liverpool striker made a number of strong runs through the middle of the park and came very close to his first J. League assist in the 76th minute. With Sagan on the attack, Torres chipped a ball over the Vegalta defense that found defender Yutaka Yoshida inside the box. Yoshida’s volley beat Vegalta keeper Kentaro Seki but was desperately cleared from the line by defender Yasuhiro Hiraoka. Takuma Nishimura clinched the victory for Vegalta with an 87th-minute strike. The loss leaves Sagan second-last on the table and three points adrift in the relegation zone. In other first-division results, Yokohama F. Marinos crashed back to earth following their 8-2 midweek win over Vegalta, losing 5-2 away to second-place FC Tokyo. Third-place Kawasaki Frontale stayed on FC Tokyo’s heels with a 1-0 home win against V-Varen Nagasaki. Kashima Antlers continued their climb up the table, moving to 10th with a 6-2 win over Kashiwa Reysol that included a brace by Yuma Suzuki. Gamba Osaka went down 2-1 at home to Shimizu S-Pulse, while crosstown rivals Cerezo Osaka were held 1-1 by visiting Urawa Reds. The top-versus-bottom meeting between Sanfrecce Hiroshima and Nagoya Grampus ended without a goal, while Consadole Sapporo and Jubilo Iwata also finished their clash scoreless.